Two essentials for serious birders: spotting scopes and travel. This design, which evokes the western television series, combines both. Got your scope, and your tickets? 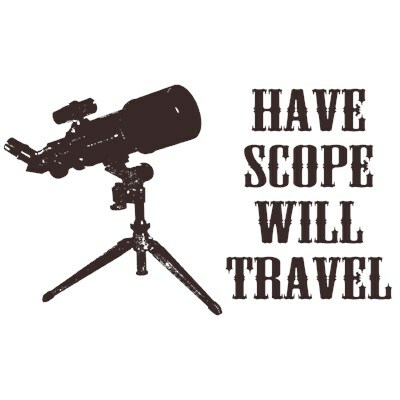 Have Scope Will Travel. 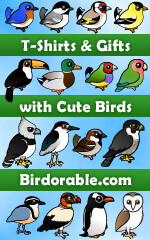 Let's go birding! To order by phone, call toll-free at 1-877-809-1659 from Monday - Saturday 9:00am - 9:00pm EST. You'll need to note the Product Number 030-368824704 to make your order.